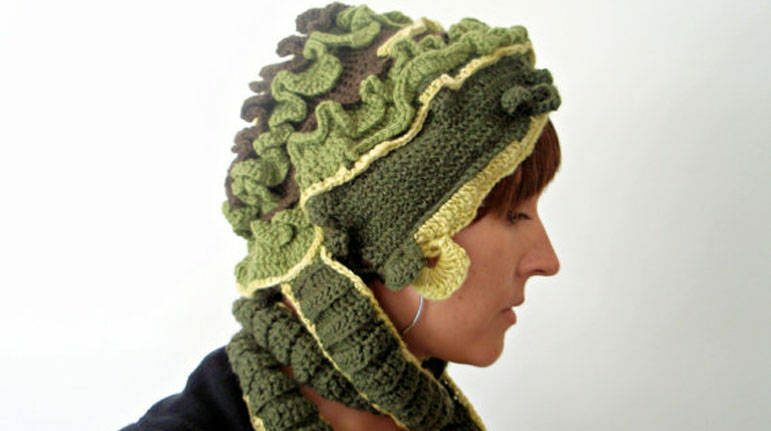 As a follow up to my post of 100 unique crochet scarves I thought I’d put together a roundup of 100 unique crochet hats. 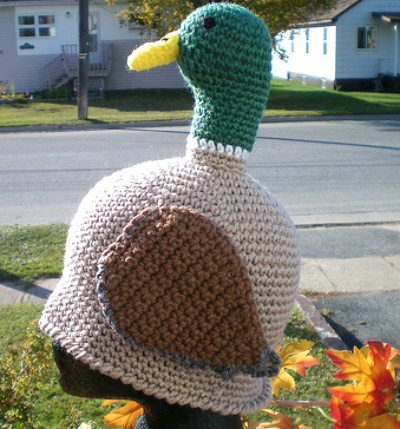 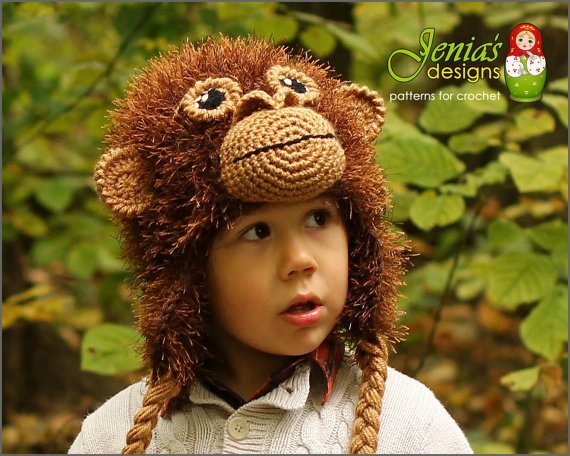 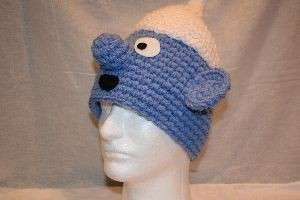 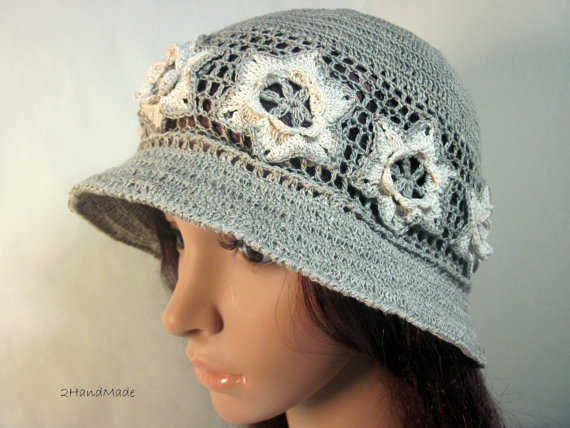 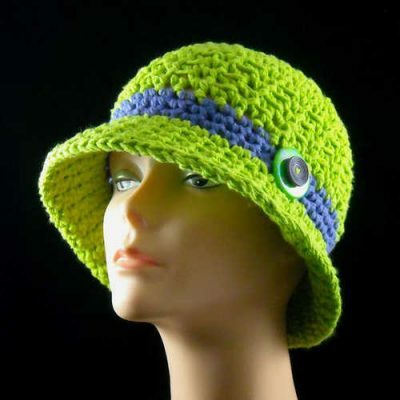 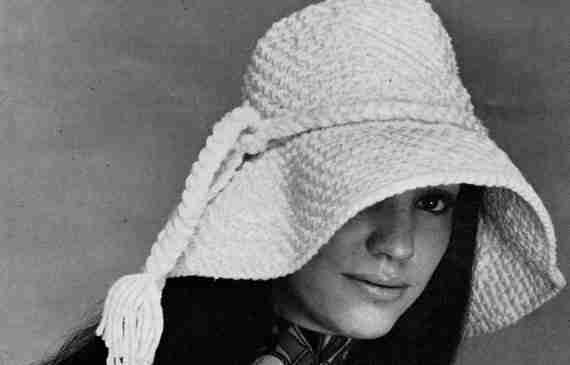 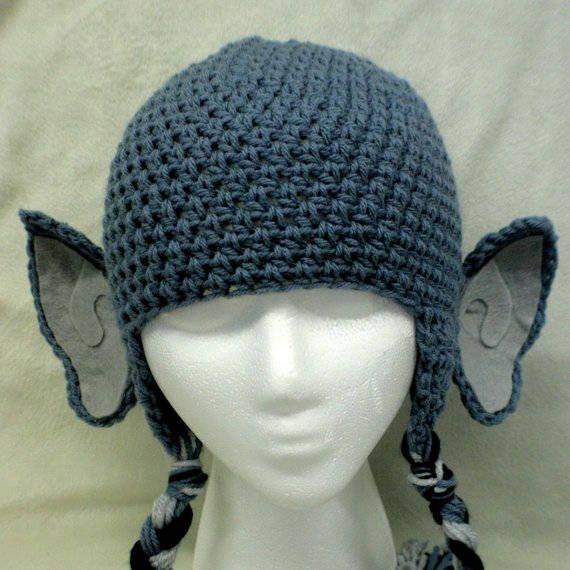 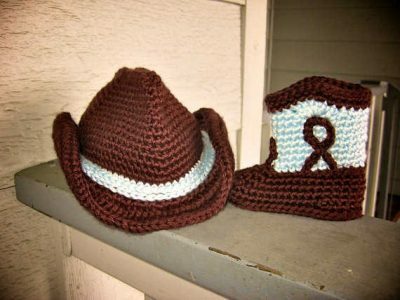 Hats are another thing that everyone can crochet and there are many, many out there that look the same as all of the other but there are also some truly creative ones. 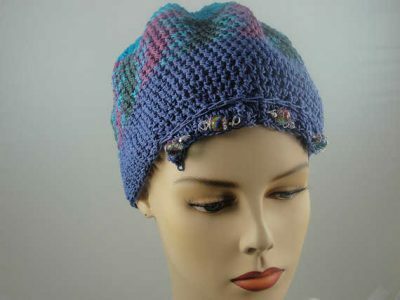 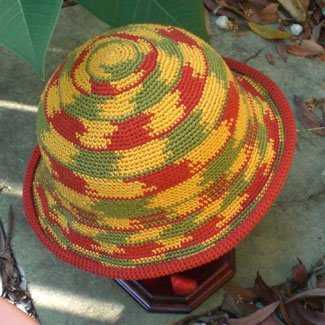 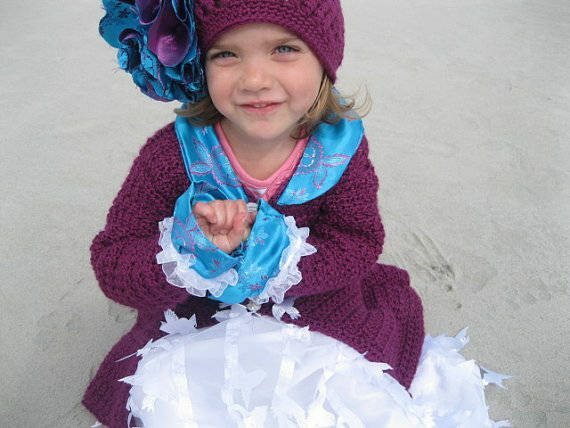 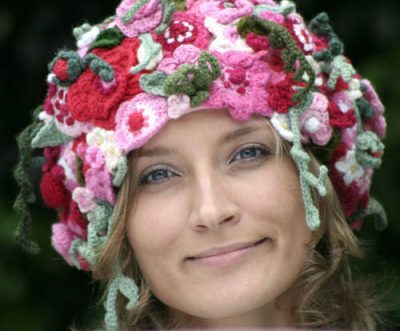 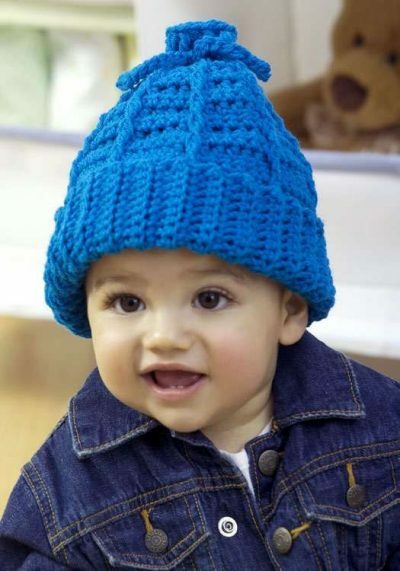 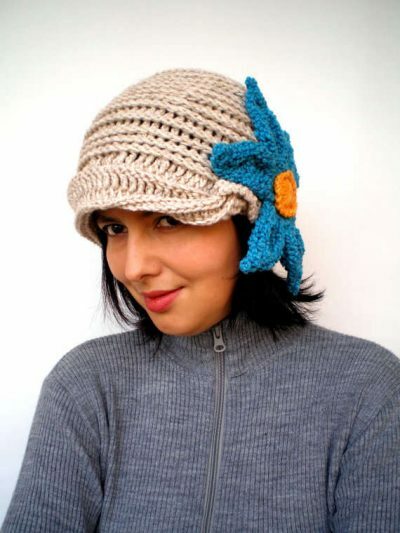 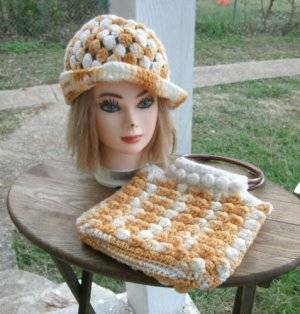 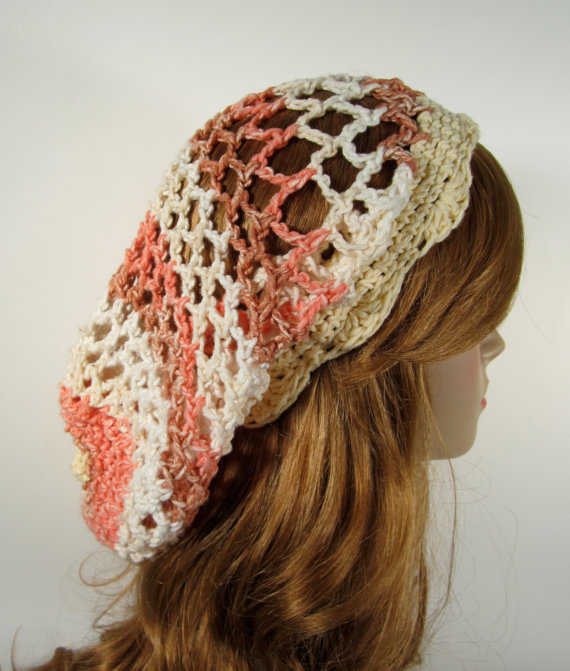 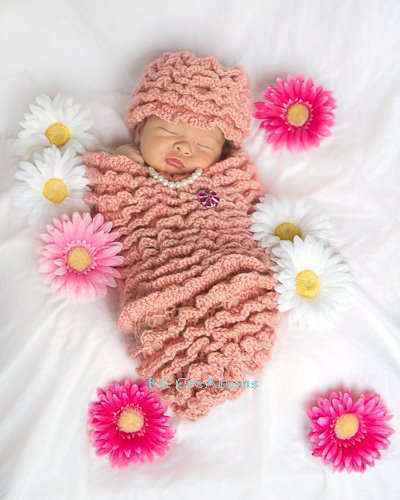 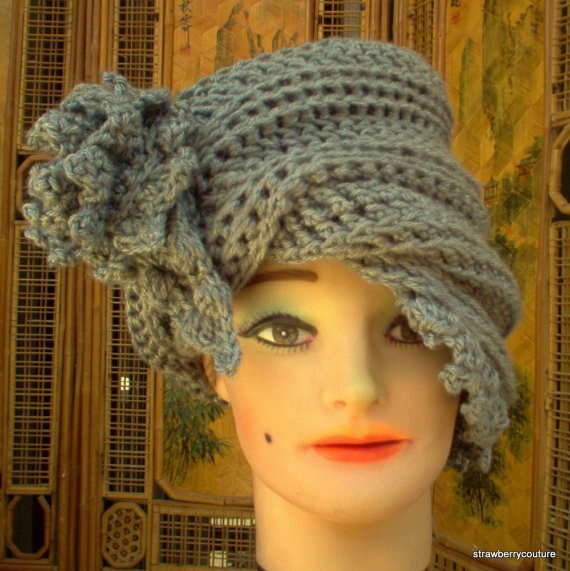 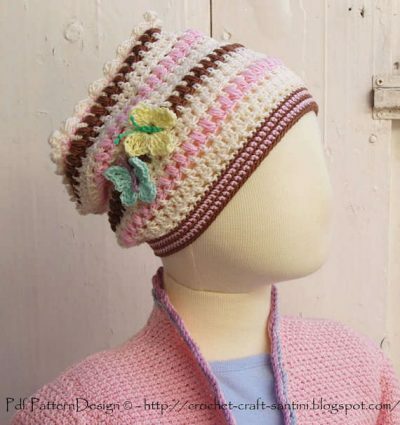 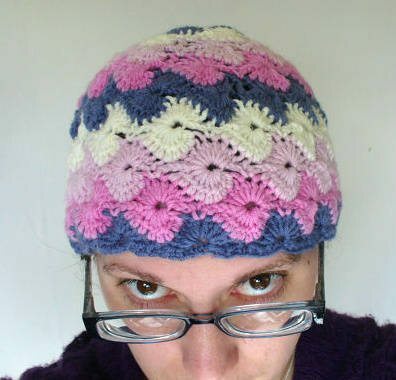 The 100 crochet hats in this roundup are divided into the following ten categories: crochet art hats, striped crochet hats, crochet cloche hats, crochet hats for guys, kids’ crochet hats, freeform crochet hats, novelty yarn crochet hats, matching sets including crochet hats, vintage crochet hats and the TRULY UNFORGETTABLE crochet hats. 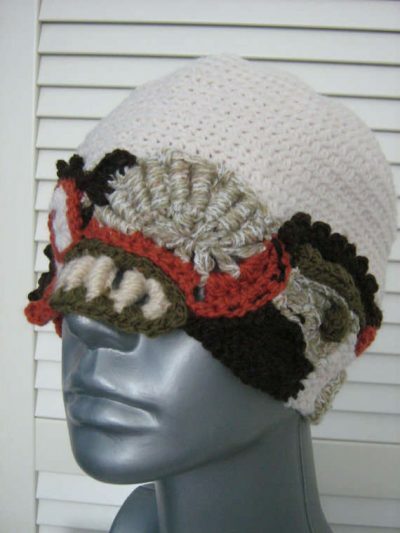 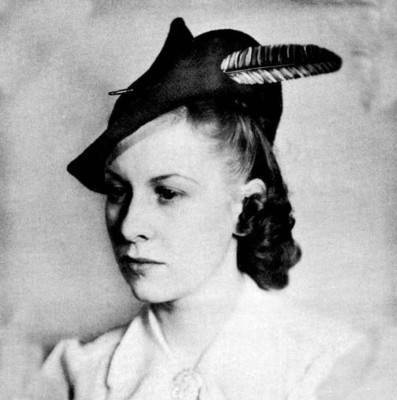 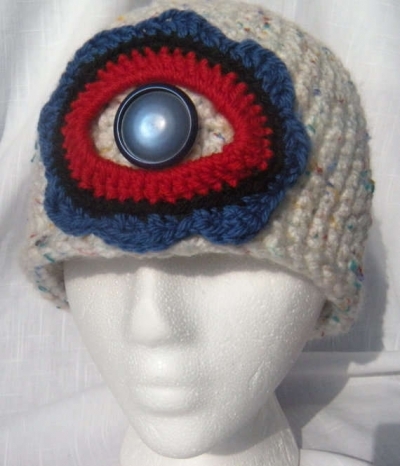 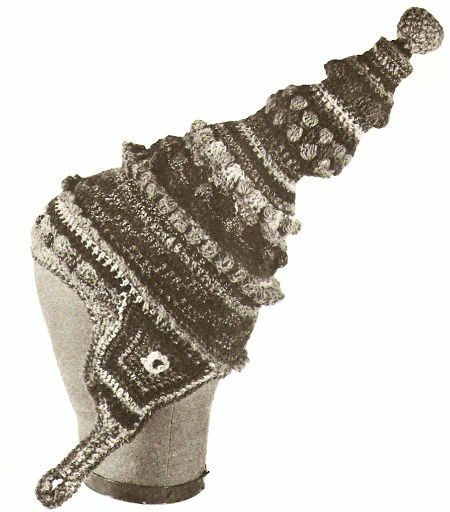 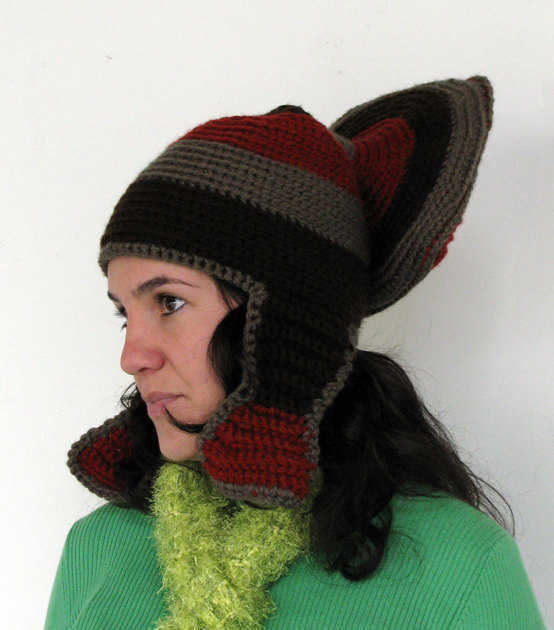 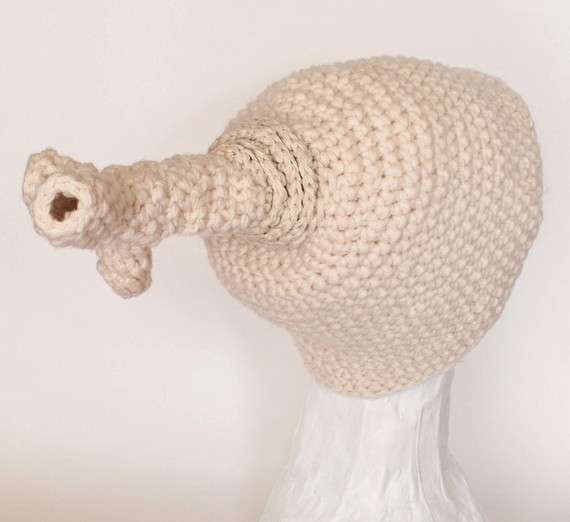 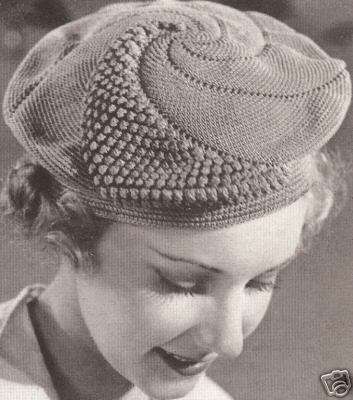 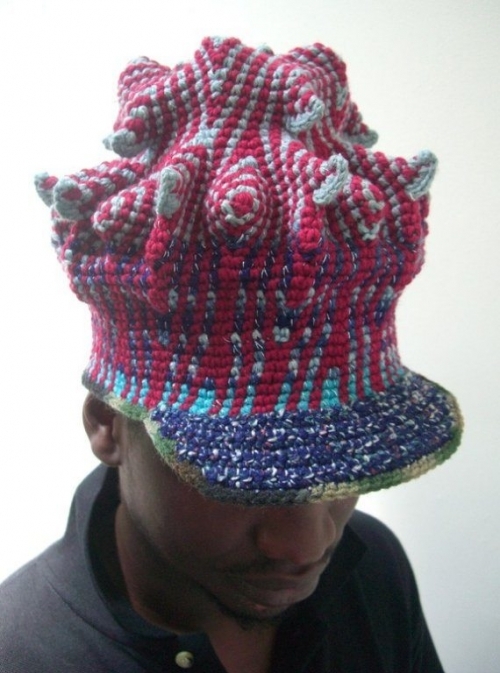 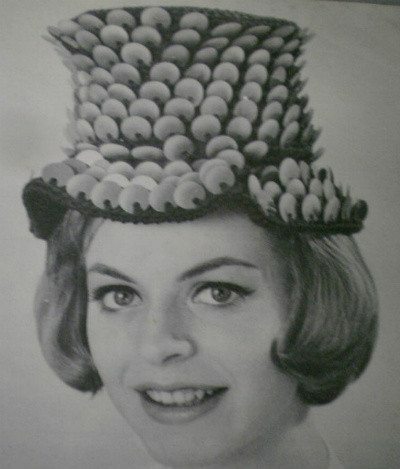 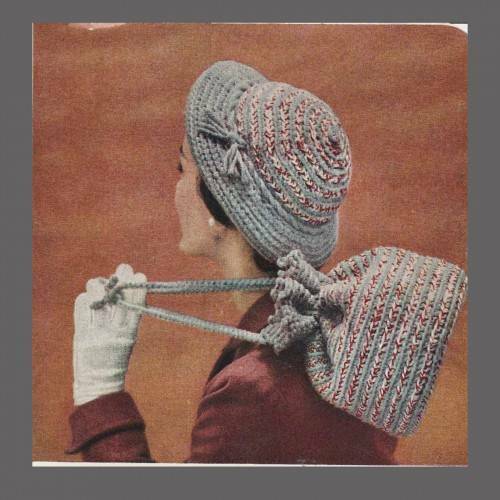 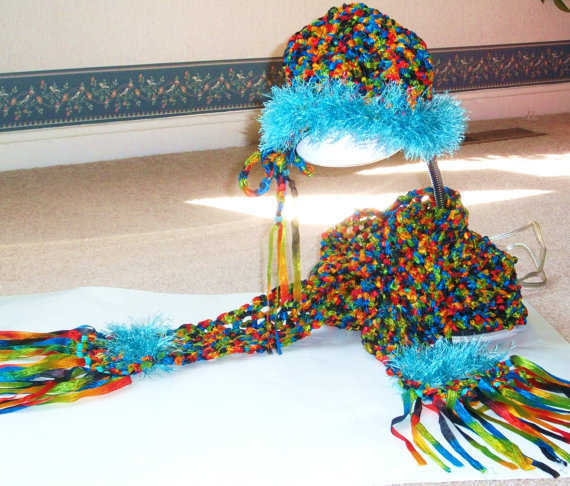 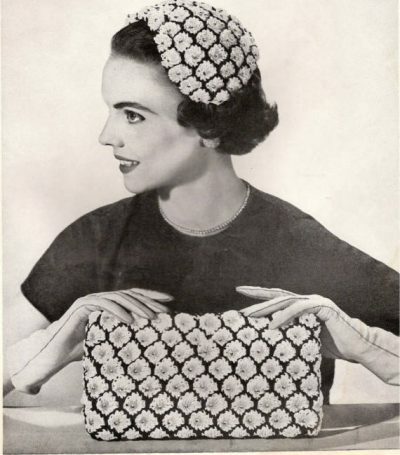 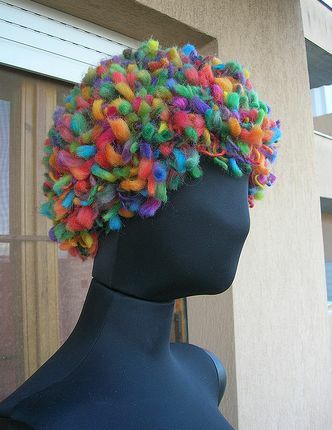 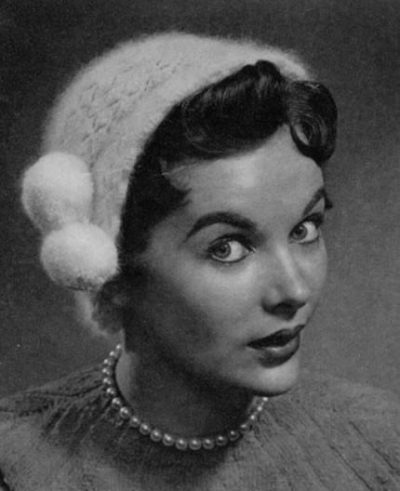 Xenobia Bailey is the first crochet artist that comes to mind when I think of creative hats. 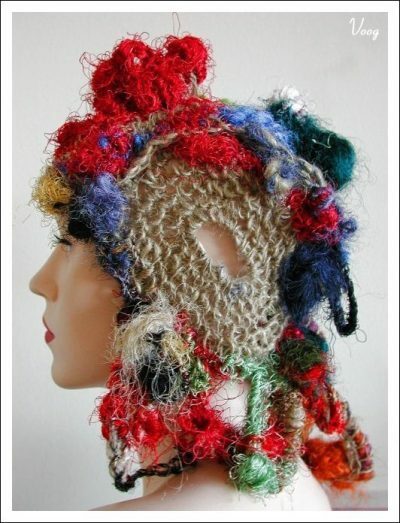 Janet Lipkin is a painter and multi-media artist that I adore for her crochet artwear. 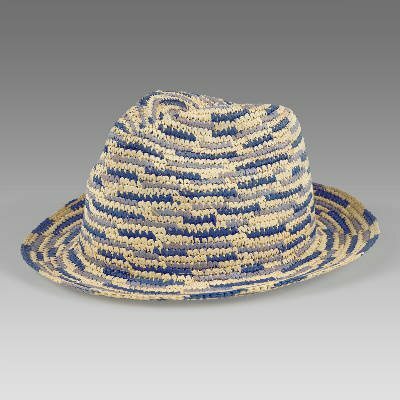 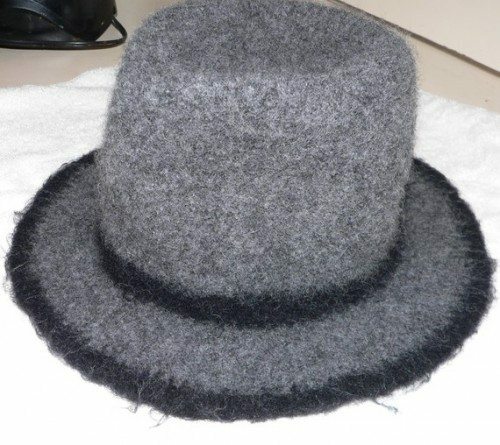 This hat comes from 1973 and is at the Oakland Museum of CA. 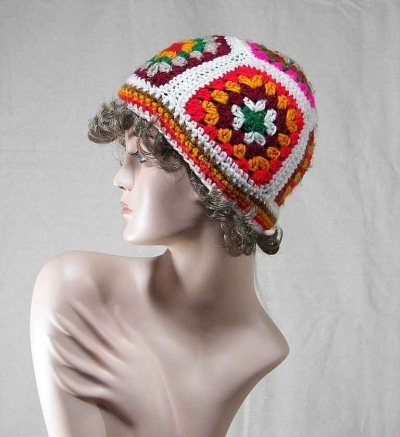 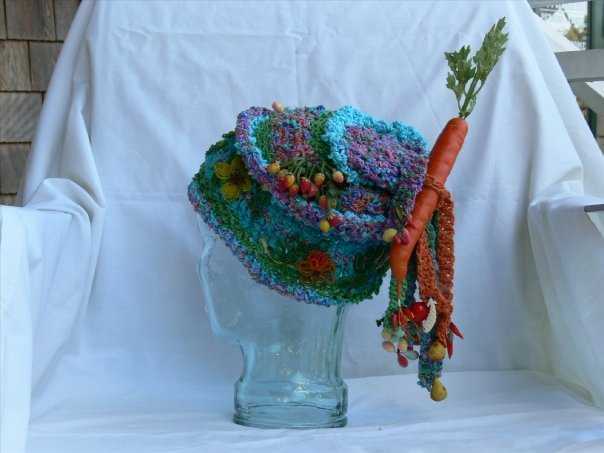 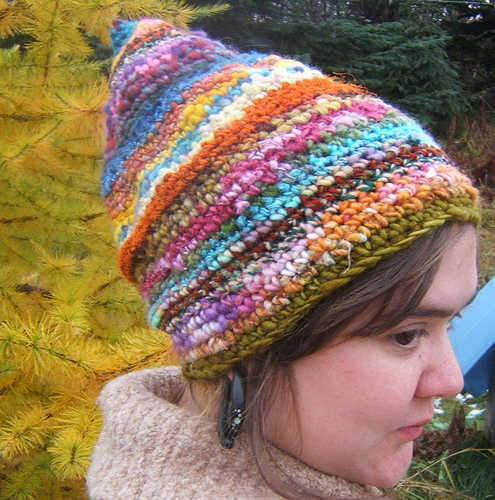 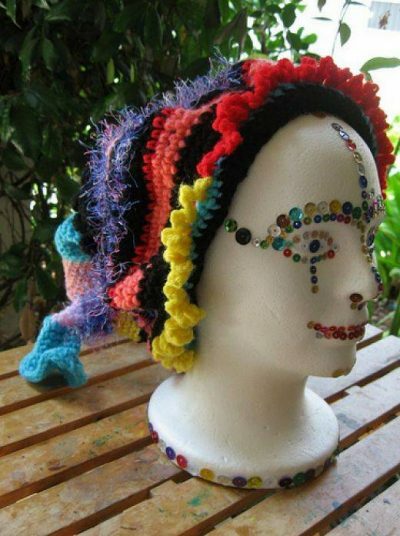 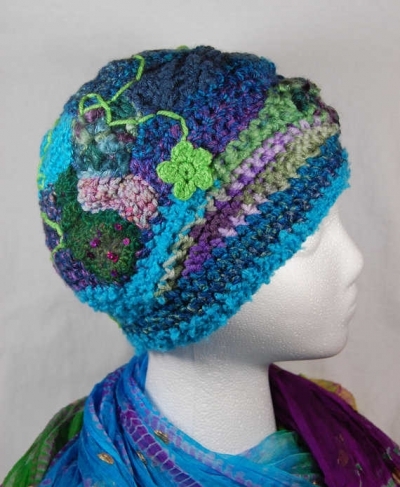 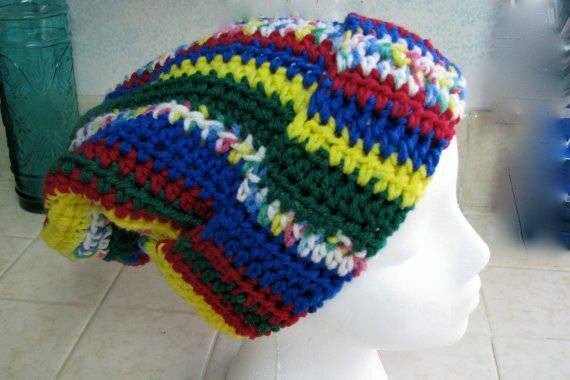 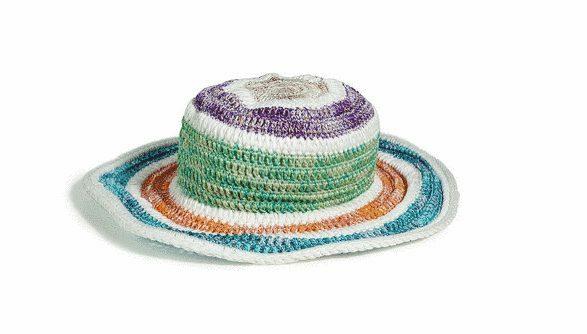 Babukatorium is a crochet artist who does great rainbow colored crochet including this hat. 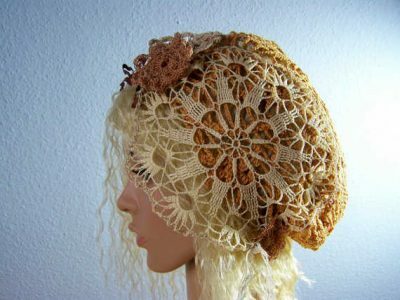 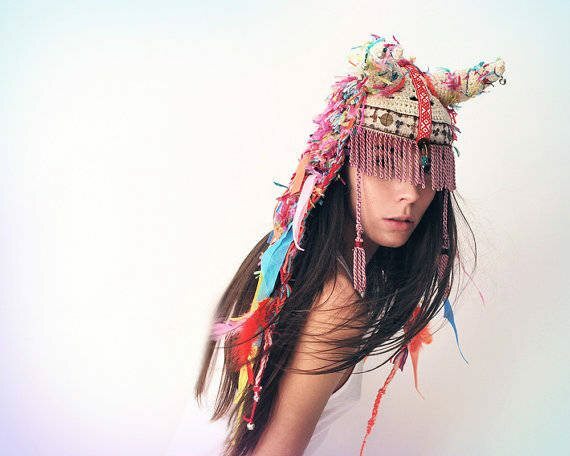 Aldo Lanzini’s crochet costumes include stunning headpieces. 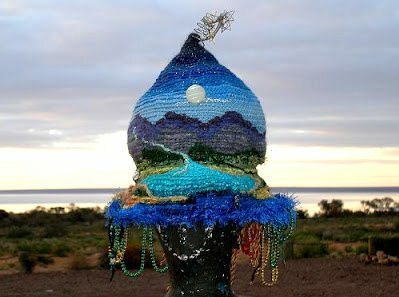 Carol Ventura is the absolute master of the art of Tapestry Crochet. 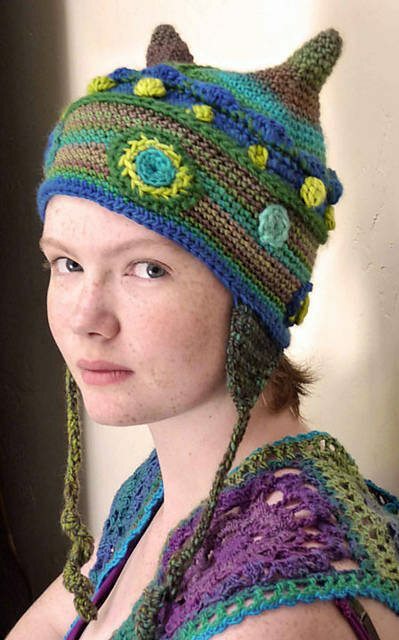 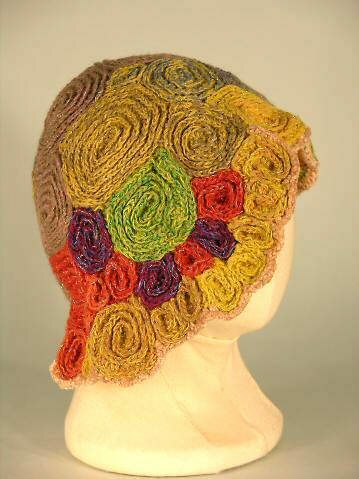 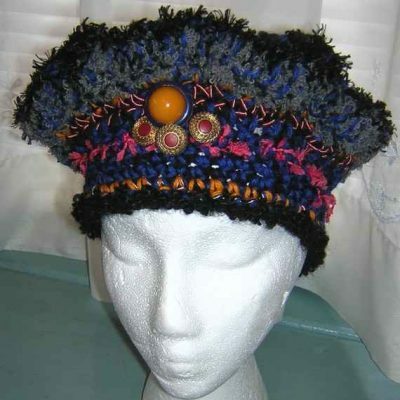 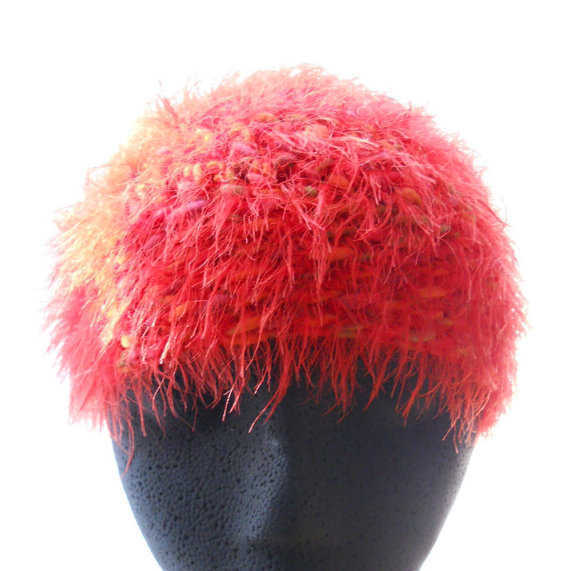 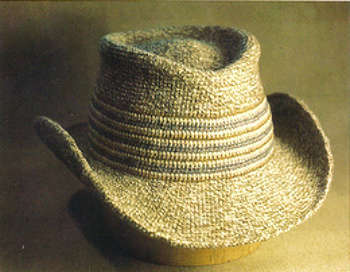 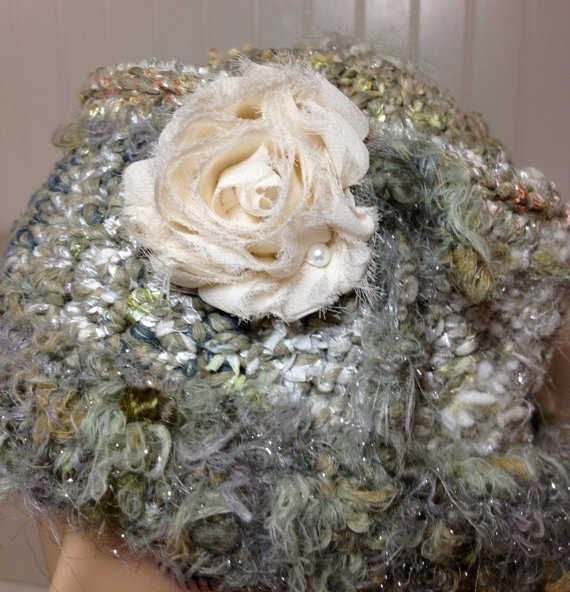 This is her felted tapestry hat, which I believe can be found in her Bead & Felted Tapestry Crochet guide. 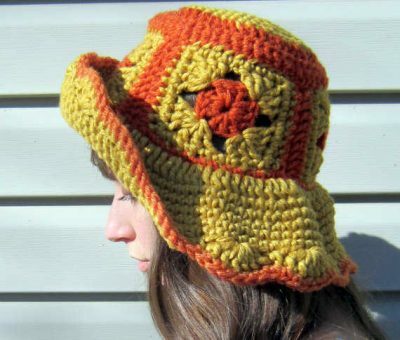 Another Tapestry Crochet artist is Meg-An who designs handpainted clothing and crochet hats like the gorgeous unique hat here. 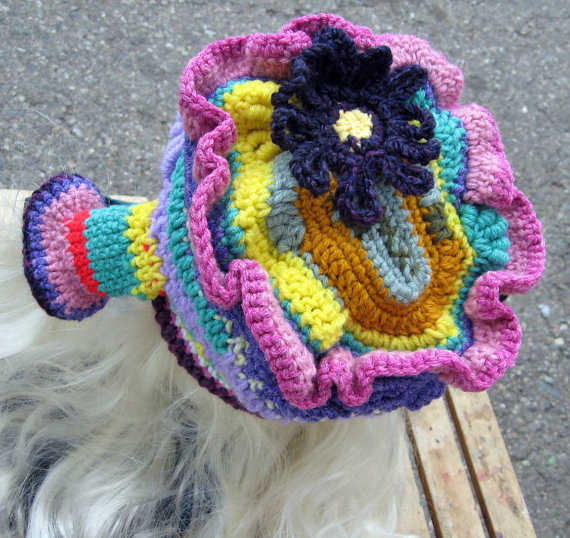 Flickr’s Twisted Old Loony makes one of a kind art hats. 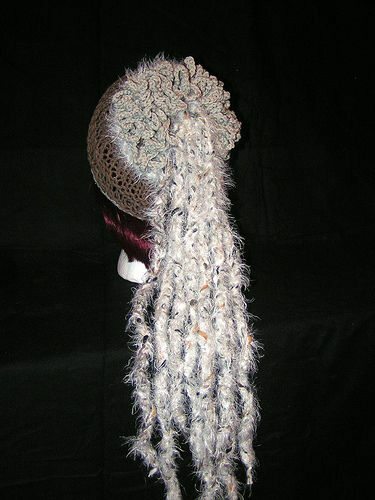 This is the back of The Splendid Sparrow. 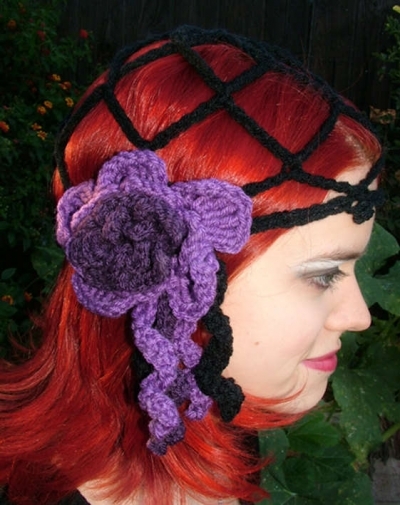 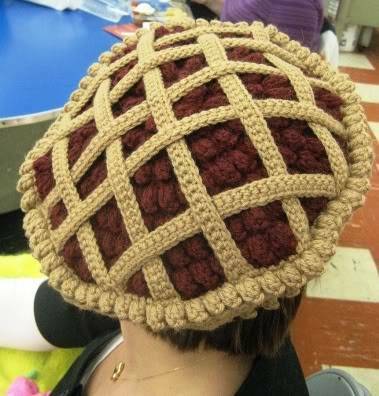 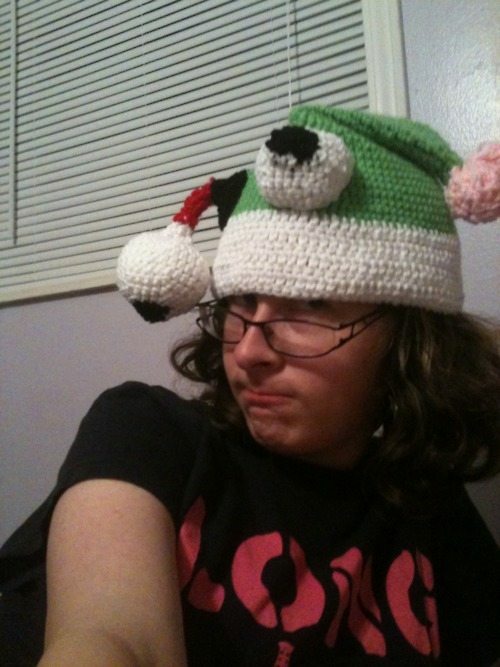 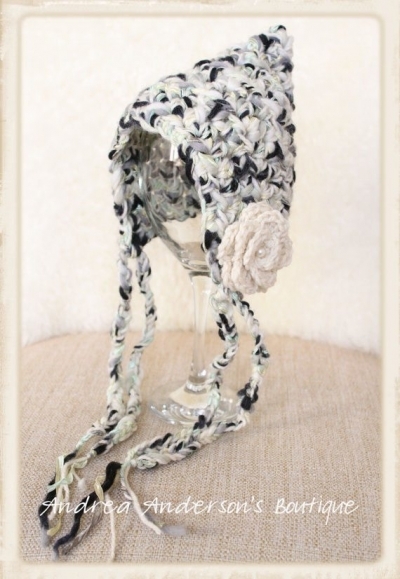 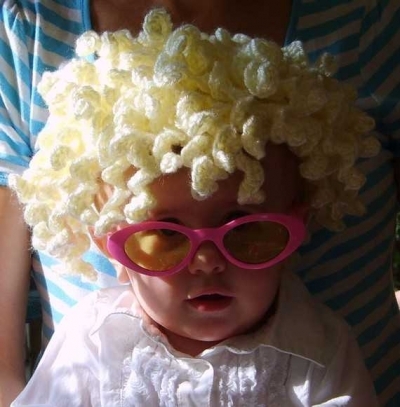 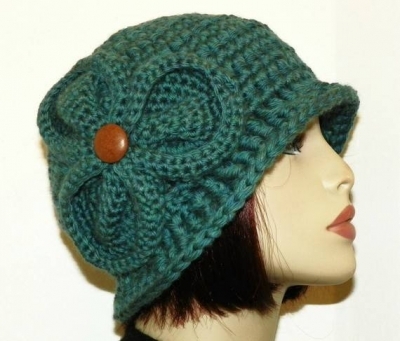 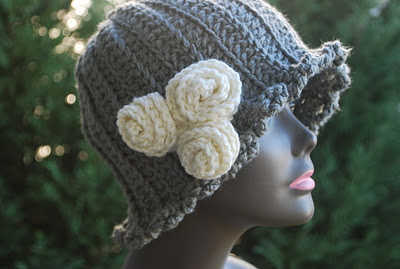 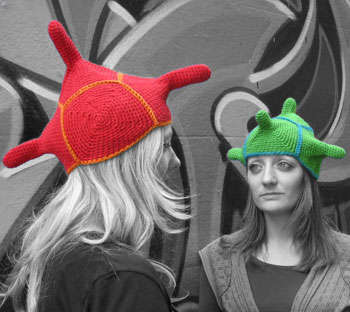 Somer Sherwood also makes one of a kind crochet art hats. 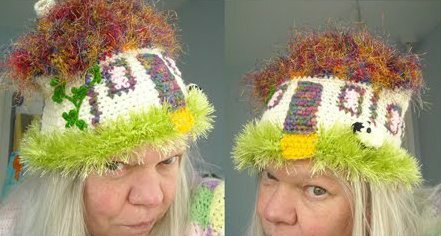 This one is called Lettuce Go to the Mothership. 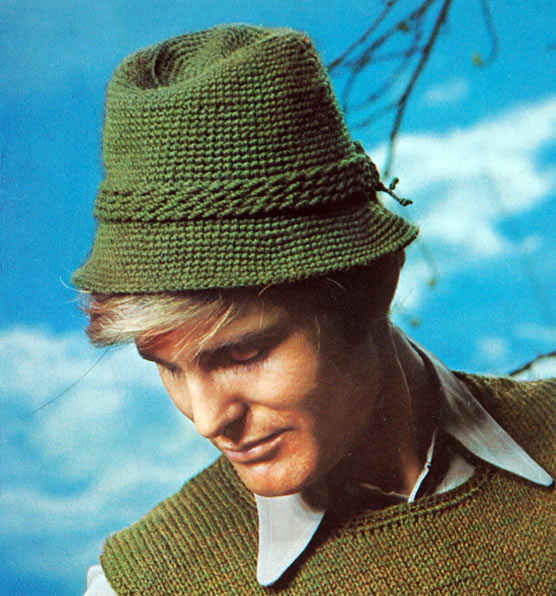 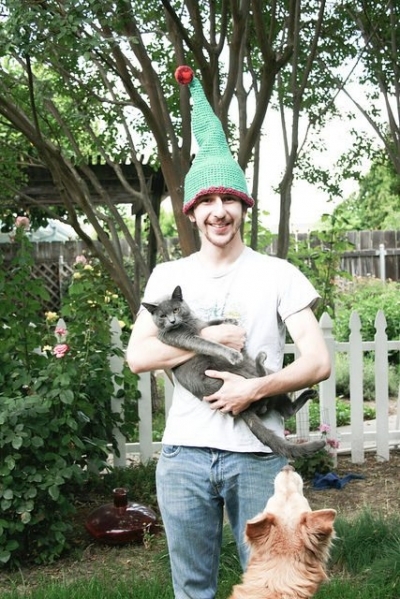 In my roundup of hot guys in crochet hats I mostly looked at the guys. 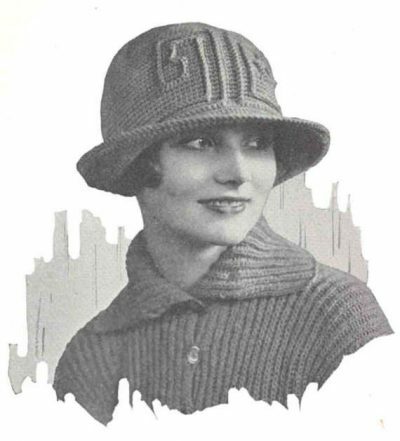 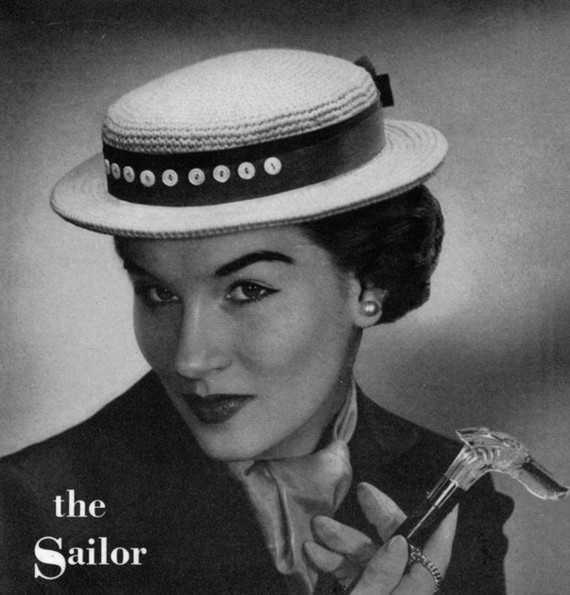 Now let’s look at some hats. 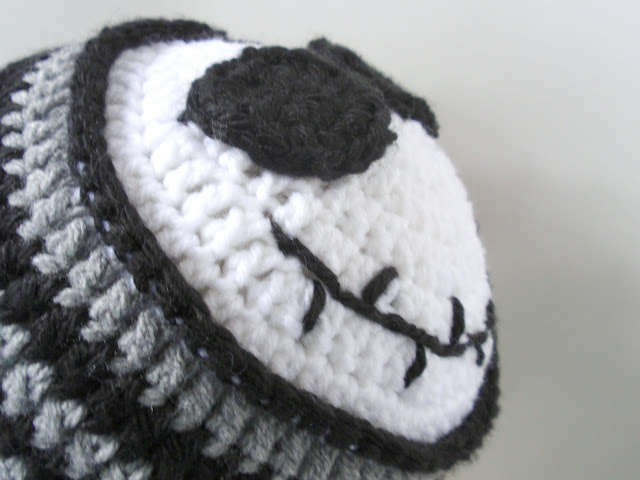 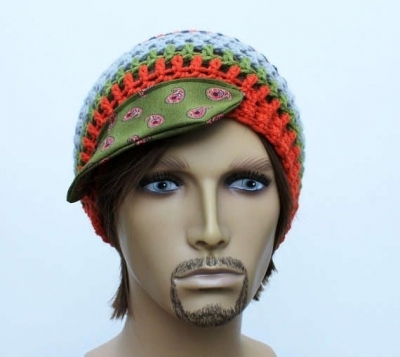 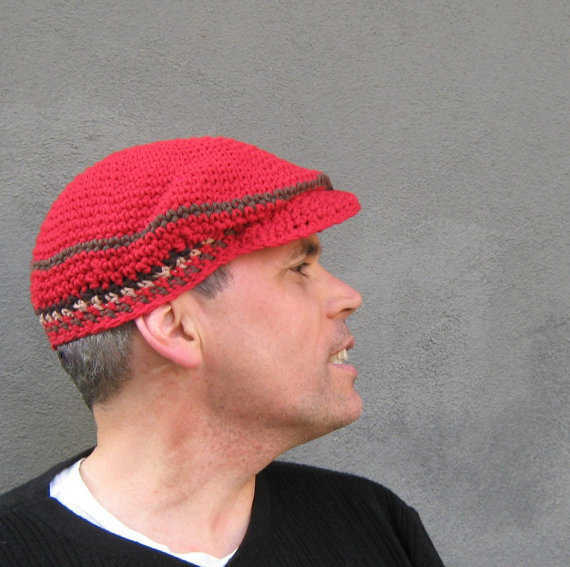 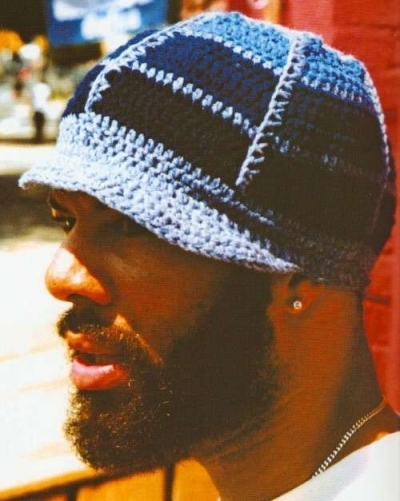 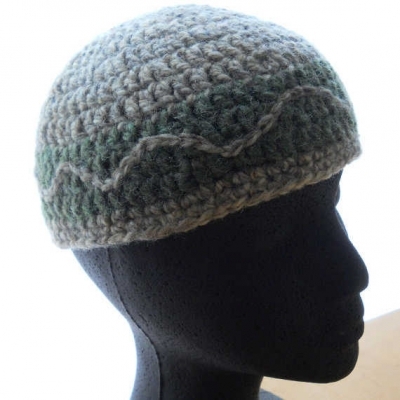 This great urban crochet hat for men is a pattern in the book Hip Hats and Cool Caps. 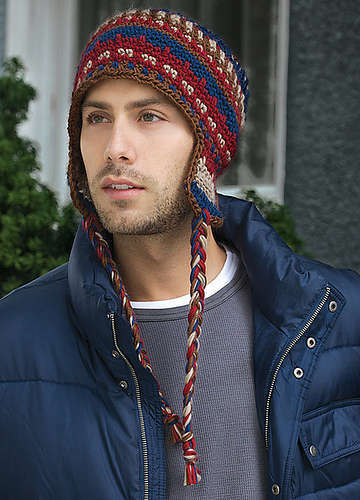 @Lindamade’s men’s ski hat published in Crochet Today! 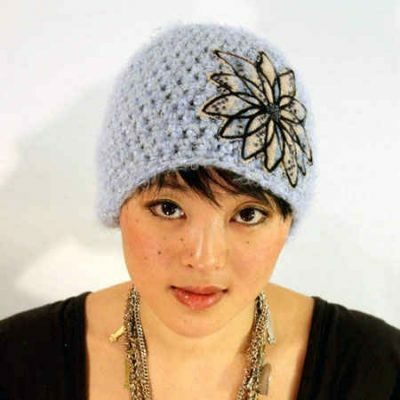 KAIJ mostly makes mixed media fascinators but sometimes that extends into a great crochet-adorned hat. 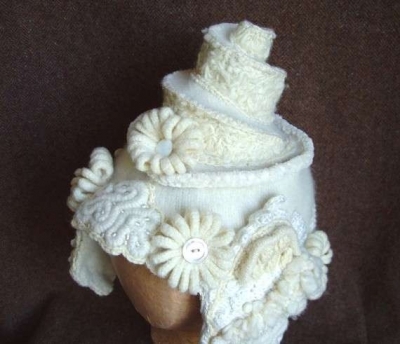 Wedding Cake Bridal Hat made from upcycled sweater and enhanced with freeform crochet. 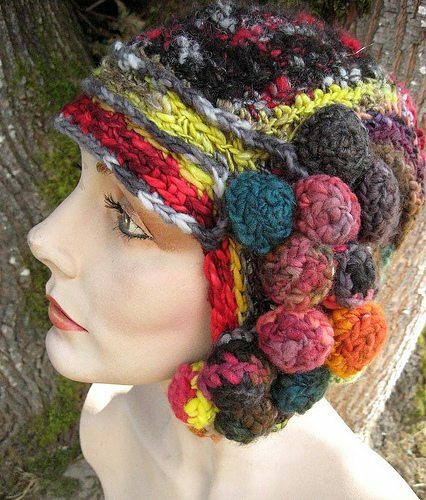 From WanderingLydia. 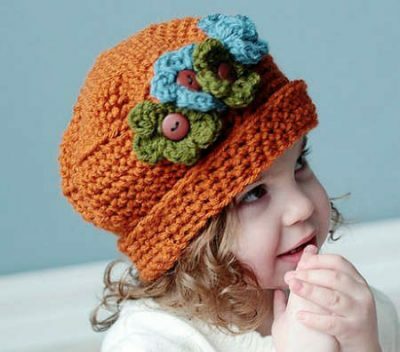 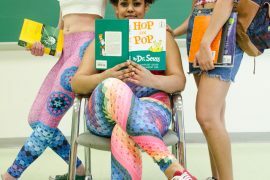 If you like this article, please spread the word by sharing it on Twitter, Facebook, G+ or StumbleUpon! 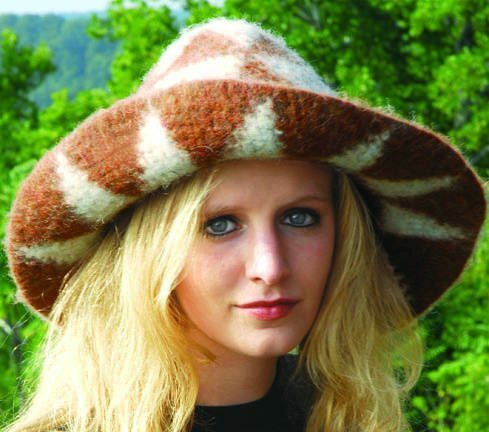 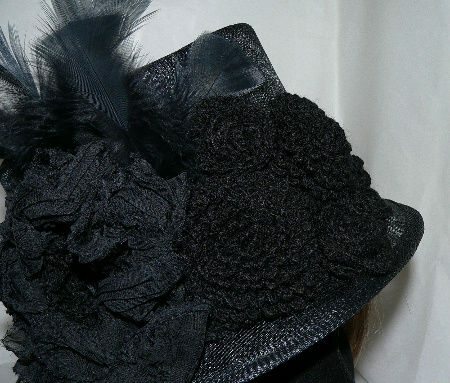 Some of these hats are really beautiful! 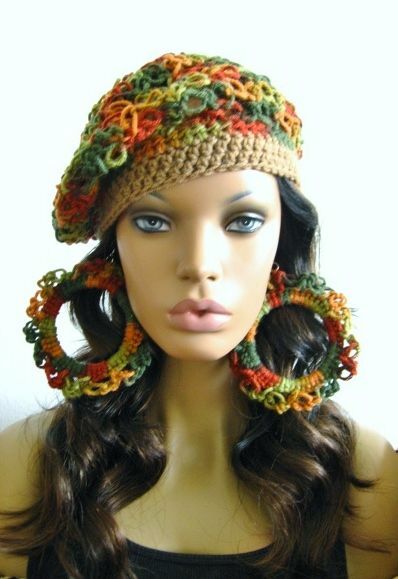 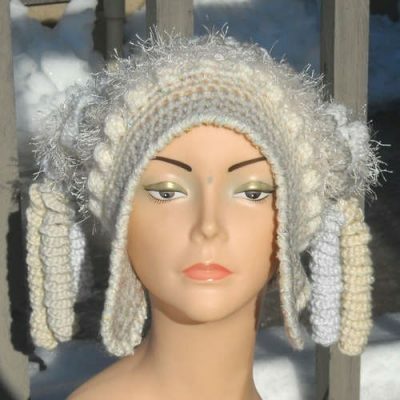 I also do crochet hats, this is one of the most insane. Hi there! 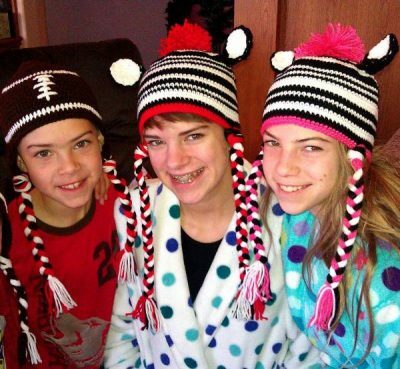 Very lovely and cool hat choices! Hi. 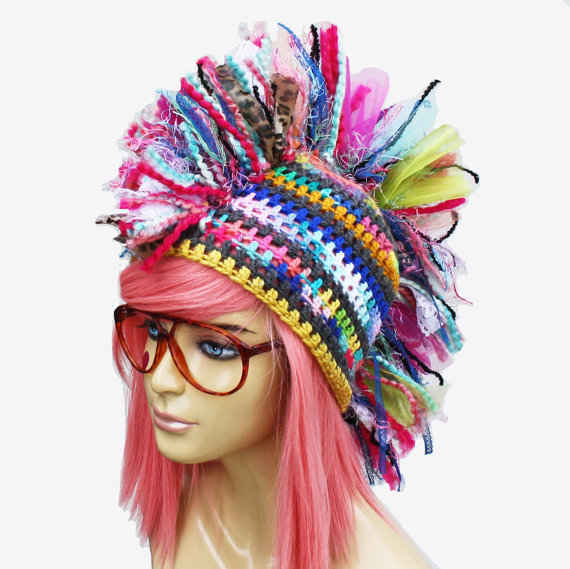 Very unique! 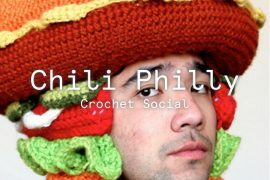 I’d like to add my site for future consideration.